If I’m Elderly or Chronically ill can I be Refused Health Insurance? It stands to reason that if you have a chronic illness, or you in advancing years, youâ€™ll be concerned about health insurance cover, read more at HBF. This is especially so as your medical costs will be considerably higher than those younger people who have no ongoing health issues. Itâ€™s important for you to know whether you are likely to be refused health insurance. The good news is that under the Affordable Care Act insurance companies will not be able to refuse insurance for people on a health basis and that, under the same act, Medicare is still very much in place for seniors aged 65 and over. What is the situation if I have a chronic health issue? For health insurance plans purchased in the newly created marketplace it is not permissible for insurance providers to refuse or cease an insurance plan based on an applicantâ€™s health. This will apply to health insurance purchased outside of the marketplace from 2015. If youâ€™re older in years how do you take care of my medical costs? These costs can be high anyway, and they grow progressively greater as you get older. This is the reason that the Medicare system exists; there are several types of Medicare, one of which is a more recent addition. There are no premiums for this type of Medicare and itâ€™s basically some safety in the provision for hospitalization and convalescence for those who enroll. Itâ€™s by no means a way of getting full coverage youâ€™ll still have potentially thousands of dollars to pay out if your stay in hospital is lengthy as there are deductibles and co-pays applicable. There are premiums for this type of Medicare which are taken directly from Social Security checks. Cover is for 80% of outpatient costs, including visits to a physician and therapy sessions. There is still the chance that a person can encounter substantial out of pocket expenses despite the cover. 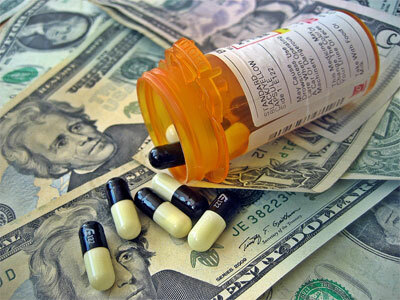 This type of Medicare covers prescription costs; it is provided by private insurers as part of the Medicare system. A pharmacist is the best person to advise what level of Part D Medicare is required. Itâ€™s important to mention that if you donâ€™t apply for this type of Medicare when you are 65 you can only apply during the annual open enrollment periods. Itâ€™s equally important to note that if you leave it a couple of years before applying you can be penalized with increased premiums for the rest of your life. The Balanced Budget Act of 1997 saw the implantation of part C Medicare, now known as Medicare Advantage. There were teething troubles in the early years of this provision but today the insurance providers are Medicare approved and reputable. The premiums can be high but the insurance companies behind the provision provide cover that is an improvement on the basic Medicare provision for seniors.